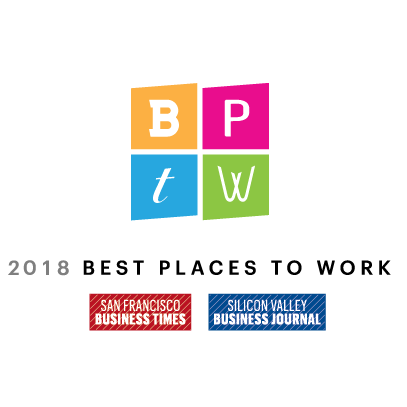 April 23, 2018 [Pleasanton, Calif.] – Title21 Health Solutions, “Title21”, a provider of cloud technology of Enterprise Quality Management Systems (EQMS) and innovative Cellular Therapy Software was awarded a ‘Best Places to Work’ honor for the second consecutive year by the San Francisco Business Times and Silicon Valley Business Times. Title21’s Enterprise Quality Management Cloud is deployed at top U.S. hospitals, and Title21 launched the first end-to-end software for Blood and Marrow Transplants, Cell and Gene Therapy and Regenerative Medicine available in the market. “It is incredibly rewarding to work directly with the best institutions that are leading the development in cancer treatments for patients who need it most,” stated Dan Waurzyniak, Systems Architect. Over 540 Bay Area companies participated in an independent, third-party survey that asked employees to grade their workplace anonymously on criteria such as culture, team dynamics, benefits, compensation, management practices and career development opportunities. Companies that make this list are known for having a purpose-driven mission as well as providing its employees with great compensation and a comprehensive benefits package. To learn more about making a difference at Title21 Health Solutions, please visit the Title21’s Careers Page. See Title21 Health Solutions' placement on the Best Place to Work list.